“It’s just time. I know when it’s time,” Billups told Yahoo! Sports on Tuesday. “My mind and my desire is still strong. I just can’t ignore the fact that I haven’t been healthy for three years. I can try again and get to a point where I think I can go, but I just can’t sustain. Me not being able to play the way that I can play, that’s when you kind of know it’s that time. Source: ESPN NBA. 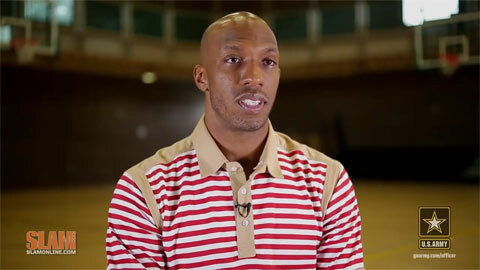 Watch video where NBA Champion and Finals MVP Chauncey Billups speaks about how being a leader on the court floor translates into everyday life. Billups, 37, played this past season for the Detroit Pistons, who announced in June that they wouldn’t pick up the team option on his contract for 2014-15. Playing Field Promotions is a booking agent for motivational sports speakers and celebrities. If you would like to book Chauncey Billups for a speaking engagement or personal appearance, contact Chauncey Billups’ booking agent for appearance & speaker fees at 1.800.966.1380.